Meet Karou. She fills her sketchbooks with monsters that may or may not be real, she’s prone to disappearing on mysterious "errands," she speaks many languages — not all of them human — and her bright blue hair actually grows out of her head that color. Who is she? That is the question that haunts her, and she’s about to find out. This book is insane, and it's damn near impossible to review because it's like Gretchen Wieners' hair — full of secrets. But seriously. I'll do my best to explain why this book is so wonderful without spoiling anything and diminishing its wonder. Karou has a habit of telling people the truth about her strange life with a wry smile, hiding in plain sight. People just laugh her off as eccentric, assuming she's making a weird joke. Laini Taylor does the same thing with her writing. She puts stuff down that you don't pick up until way later. She tells you so much without really telling you. That's one of the things that makes this book so magical. The hits just keep coming, surprise after surprise. It's clever and well-paced, twisty and so satisfying. It's got brains and beauty. Taylor's writing is dark chocolate and red wine, rich and sensual. I was swooning at the prose. And the world she builds is stunning. The vibrant streets of Prague, the breathtaking mythology of "Elsewhere," the fiery-winged angels and horned devils and women with serpent bodies. The hierarchy of wishes that can grant frivolous pleasures, petty vengeance or great power and knowledge. The portals that open to the most fascinating places in our world, and the dark secrets hidden in jars of teeth. 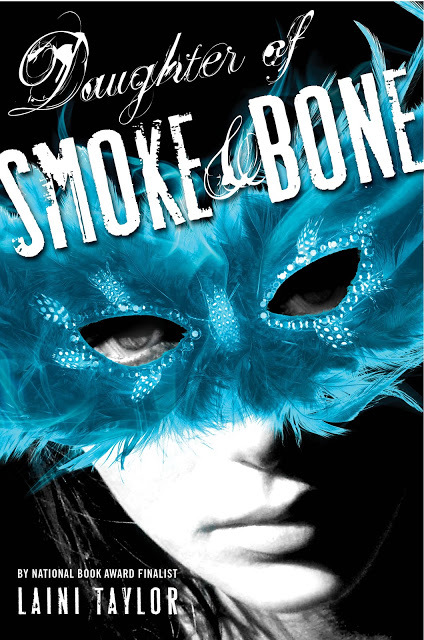 This book is a brilliant character study of Karou, who has always felt an emptiness and longing for purpose. She is so hungry for love. "She was lonely, and she feared the missingness within her as if it might expand and ... cancel her." She has so many questions about her very identity, and as we get the answers, everything changes. And a big, giant part of what changes is Akiva. The insta-love was part of why I didn't give this five stars, and we see more than one example of insta-love. But I'm not even that mad at it — the romance was gorgeous and powerful. It spoke to the transformative power of love and the limits of that power, a theme that I'm very interested in. And this is the part where I have to zip it because you just have to experience the book. Their relationship is so complicated and it's the meat of the story, with a phenomenal payoff, so you'll just have to read it. Along with the romance, the beautiful writing and the stunning settings, there's a wonderful supporting cast of characters you'll love and some you'll want to punch in the face. There are some lovely light moments. There are two more books in this series. I'm not sure when I'll get to them, if I'll sprinkle them between a few other books or wait until I can read them back to back. But I will be finishing this series and trying my damndest to avoid spoiling anything for myself, because this is a story that I want to allow to surprise and enchant me.